This is Wileyfox Swift Nougat ROM (7.0, AOSP ROM) flashing guide. Since the Android Nougat Source code release, till now we have many Android Nougat ROMs available for various devices like Xperia M, LG Optimus G, Nexus 4, Nexus 5 and many more. And now this time the Nougat ROM (build number: NRD90M) has arrived to Wileyfox Swift (crackling). THIS MIGHT BE AN ALPHA ROM AND MIGHT NOT BE USED AS A DAILY DRIVER SOFTWARE. CHECK THE WORKING AND NON-WORKING LIST BEFORE FLASHING AND PROCEED AT YOUR OWN RISK. Installing a custom ROM on a the Wileyfox Swift requires the bootloader to be unlocked, which may VOID your warranty and may delete all your data. Before proceeding further you may consider backup all data on the phone. You are the only person doing changes to your phone and I cannot be held responsible for the mistakes done by you. TWRP recovery download link for Wileyfox Swift. – Follow the guide to flash the recovery: how to install install recovery. The bootloader must be unlocked before flashing the recovery image. – If you need to unlock the bootloader before installing this TWRP then you can follow this guide: How to unlock bootloader. CM14 ROM is also up for Swift. If you wanna try then here is the WileyFox Swift CM14 Nougat 7.0 ROM Update Guide. 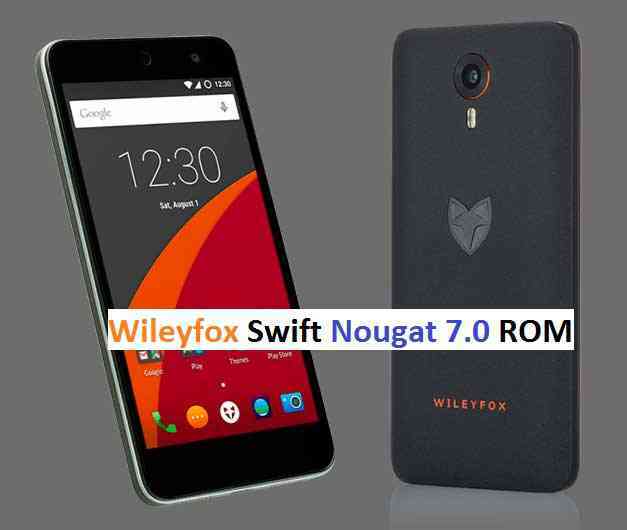 Download the Wileyfox OEM image, Wileyfox Swift Nougat ROM TWRP BACKUP zip file and a suitable Nougat Gapps zip file from the above download link. Delete the old OEM image and flash the WileyfoxOEM.img file using fastboot (if you don’t have fastboot then follow the end of downloads section to install adb and fastboot). OPTIONAL Wipe data factory reset, Cache partition, Dalvik Cache and Format the System partition using the recovery. Now, restore the backup that you have copied to TWRP directory. – You may follow the same TWRP nandroid backup guide to restore the TWRP backup. Instead of selecting backup just click on restore and select the downloaded Nougat TWRP backup. Restore the System and boot image. Now reboot the phone. If you need Google Apps then follow the next step. Fash the Google Apps package. Reboot the phone when the flashing is done, do an initial setup if required and enjoy the Nougat ROM on Wileyfox Swift. If you have any concerns regarding the guide or installation or if you are facing any issue on this ROM then just login and place a comment to get instant reply. Stay tuned or Subscribe to the Wileyfox Swift (crackling) forum For other Android Nougat ROMs, CyanogenMod 14 ROMs, other ROMs and all other device specific topics.